police, and the list goes on and on. These are companies with familiar household names. If you owned stock in that company wouldn’t it be in your best interest to have the highest possible dividend paid? If that product could be made using free labor, or at the highest about $2 an hour for highly specialized work, wouldn’t you want to make sure the prisons were full? Inmates should work. learning a trade helps when they are released back into society. But does that mean they should work for free or nearly free? The US has gone through a serious job shortage in the past six years. We all know that. We all know how hard it has been for many people not being able to find work. But why would these companies even want to pay minimum wage when their profit margin hinges on the number of people we have locked up? No one believes America has so many more criminals than any other country in the world, so think, what is the real reason behind this? This is where the Prison Industrial Complex comes into play. So many states are having trouble balancing their budgets. Schools have closed, teachers have been laid off, roads are in disrepair, and that list goes on. The prison corporations, like CCA and Corizon, which handles medical are just two the many of the prison corporations with a long list of lawsuits. Five years CCA alone housed more than 60,000 inmates and was the 5th largest prison corporation in America. What are the numbers today? This is the corporation that controls the prison Jamie is at, so I know just how substandard their care can be. These corporations go to the state governments with a sweet deal. “Let us take over your prisons for you. We’ll take care of providing medical, food, and education. This will free up money you can use on education and infrastructure.We’ll save you money.” They pay heavy campaign contributions to get what they want. The devil is in the deal. The only catch, they want 20 year contracts with the government signing on the dotted line promising the prisons will be kept 80-90-100% full. CCA used to only be in the south, but have now even spread to other countries who want to the US model of prisons. Yes, there are states that have to be kept 100% full – at all times – or the government has to pay them per head for the vacancies, which can amount to millions of dollars. If you read the news you hear that our government is trying to lower the incarcerations rate. It sounds as though times are changing, but is it? One thing is offset by another. Absurdly long prison sentences far beyond what the “crime” deserves. The injustice in our justice system is unlike any other country. People can be held in jail for years without being convicted for a crime simply because they can’t make bail. Since it is predominately lower income neighborhoods that are canvassed, with people pulled over and harassed for no other reason than they are walking down the street – and also for being black. Lower income people can’t come up with bail. Once someone is on the inside of the walls they are dependent on corporate services to simply make a phone call that is many times more expensive than for anyone else in the country. Why should this be? There are people trying to change that, but corporations like Securus, who provides the phone service many inmates need to use to call loved ones are making the money are fighting them tooth and nail. It is the families who have to foot the bill. Then there are the corporations who have bid on the contracts to supply the commissary. Huge profit. Until 2 years I go I was able to buy paper and envelopes through Amazon and have it shipped to the prison for Jamie Cummings, the same way I send books. A corporation won the bid to supply those items and now they have to get it at the commissary at higher prices. But what happens when commissary privileges have been revoked. Being able to buy deodorant and soap is a privilege. Right now Jamie can only go to the commissary once a month so he is severely limited. There are corporations like Aramark who supply food. They have caused food strikes and lawsuits because of cutting portions down and serving substandard food. 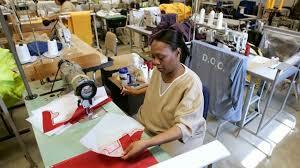 In Texas, no inmate makes any money for any work they do. Completely free labor. TDCJ – Texas Department of Criminal Justice says they give “good time”, but there are many ways any good time earned is taken away. If you are in the levels G4,G5 or adseg you are not allowed to work. Your value then is just to fill bed and spend money while they feed you slop and often deny necessary medical care. Even though the media tells you incarcerations are down, more and more prisons are built and auctioned off to the highest bidder with the promise of a never ending supply of prisoners. Logically, why are they being built when the govt is showing concern and wants to free non violent crimes. Aren’t illegals crossing the border non violent crimes? Texas now has over 110 prisons. We no longer deport people caught trying to cross the border but instead imprison them, they have become another source of income for the prison corporations. People cross the border because their home situation is horrendous and they have the hope and misinformation that maybe it will be better here. The statement recently made by Donald Trump that Mexico is “sending” us their criminals and rapists is absurd. Hispanics are now added to the same slave status that many blacks live with. There are also businesses in Mexico who have shut down and relocated inside the walls of prisons here in the US. it is so much more cost effective for them to have the same people work for free. One problem the American people have is that many of them read headlines and hear news blurbs but never look to find the truth. In many states, the prisoners have to pay room and board while they are incarcerated and it accrues throughout their time inside. They are presented with a bill after they leave. It is called a “pay to stay” fee. If they have to pay should they at least get enough food to eat, AC in the summer months, especially in the south, and heat in the winter? If it isn’t paid, they can be picked up and sent back to prison. Since rehabilitation is scarce and many parolees are literally dumped on the street, sometimes straight from solitary confinement, they have no way of getting their lives together. Inmates are a commodity. Nothing more, nothing less. Prison corporations have no vested interested in educating inmates and helping them transition into society. Education costs money. They put on a show on their websites about all the great things they do for inmates, but that is all it is – a show for the public. Many times, even if a parolee has family, they may have been gone so long that support and help is not an option. Old inmates, who have become a financial burden, often get dumped on the sidewalk. Many parolees are mentally destroyed by being kept in isolation for too long and there is no hope of them having a life that we, in the free world, would consider normal. I’ve learned a lot in these years of writing to Jamie. Before this, I knew nothing about prisons. My knowledge came from TV shows, movies and occasional stories in the media, just like everyone else. I watched the series TV series, Prison Break, about a group of inmates who planned breaking out of prison. The show had you rooting for them to succeed. But this isn’t real life. The brutality found in TV prisons don’t come close to reality. The TV show, “Orange is the New Black” is meant to be entertainment, while throwing in a a tiny bit of reality. The warden, officers and guards don’t come close to portraying the real thing. People were glued to these shows week after week never about the real people in prison, and how they have to live. I constantly hear the line, “If you do the crime, you have to do the time”, yet people give no thought to what those crimes really were and was justice actually served? Who got punished and who didn’t get punished for the same crime? Are there really bad people locked up who should never get out? Absolutely. They are now off the street and society is safe from them. Does that mean they should be continually tortured? No. Was the sentence perhaps “Life with no parole including getting beaten, starved. medications withheld, water shut off, food spit on with guards being to do anything they want including murdering them for fun?” I don’t think so. 2.4 million people who are locked up right now, or are still “on paper”. When someone is paroled, they are not free. If they are on probation they are not free. They are tethered to their prison sentence with the threat of being sucked back in if one small mistake was made. The smallest infraction of any rule, even missing a meeting with your parole officer or if you unknowingly spend time with an ex-felon, or someone carrying a gun, in a age where many thousands of people carry guns on their person, could get you put back in prison in a heartbeat with few questions asked. This is how the prisons are kept full without it costing the time and another of a conviction. They just sneak you in through the back door. The redivism rate is over 70%. Why? What broke down? Why can’t the parolees make it on the outside? Because they are set up to fail. If they can’t get a job or rent an apartment, how do they live? So even those with a clear determination to live a good live is often forced to find another way to eat. There aren’t enough halfway houses for the amount of people let go. Three out of four end up back inside because they can’t earn money and get started in life. They are left with few other options. Unfortunately our society is not very welcoming of parolees or ex-felons. Getting job, being accepted at a school, renting an apartment or opening a bank account is not very easy when you have to check the box that asks you if you have ever been convicted of a crime. Fortunately there are organizations working on changing that so parolees have a better chance of integrating back into society, although it’s only in the process stage. There are many things we, on the outside, take for granted, but it is not something granted to those being released from prison after they have “repaid their debt to society”. If they can’t get a job, no matter how determined they are to have a better life, the walls society puts up can not be broken down by someone with a sentence. Until things are changed and more is done for the people who have been deemed less worthy than the rest of society, it is a problem that is going to continue growing. No amount of dressing it up will make it look prettier than it is. We know many inmates need to be released. Will help be available for them? Keep inside the ones who really are seriously a problem, and let go the ones who have done enough time for their crimes. Let them go before we destroy the ones who want to live, with all their marbles intact. Let them work and get paid for working and keep the money going around the way it should. Corporations should be paying people a real wage who do the job of make their products instead of lobbying and paying politicians to vote in their favor to continue using slave labor. Instead of money going to the prison industrial complex, let it be used where it is needed most, on the people. As long as corporations have a stranglehold on the people of this country to use and exploit, we will continue our slide downward. The US government tells the world we don’t use solitary confinement the way we do and they get away with it. Slavery moved from outside in the fields to inside the prison walls is still slavery no matter what you call it. Wow, no I hadn’t seen it. Weird, they used the same picture I did. I searched google images to find picture of inmates working jobs other than mopping floors – the professional jobs and found those. But it is good to see more and more people writing about this. Sometimes I run into people – that are very narrow minded and they don’t want anyone trying to change their mind. I read an article on the front page of Yahoo! News this week about teens rotting in jails across the US. I also heard Obama talking about the huge incarceration rates in the US compared to other nations. Looks like this issue is getting a foot hold in everyday discourse. Time to hammer it home. Yes, it does seem like good things are happening – so why are they still building new prisons and auctioning them off to the highest bidder saying there will be no shortage of prisoners? I saw a video of the auction. It’s because they don’t send illegals home like they used to. Now they put them all in prisons. There are even mexican businesses who have shut down their business and relocated inside San Quentin so now they have free labor to make their products. good article. Most people know what happened to him but they don’t know how it happened and why. It was such a travesty. But hopefully, because of it, it will change laws. I will check this out first thing when I wake. I do appreciate getting these links. I search for stories. I post a lot of them on the facebook page connected to the blog.